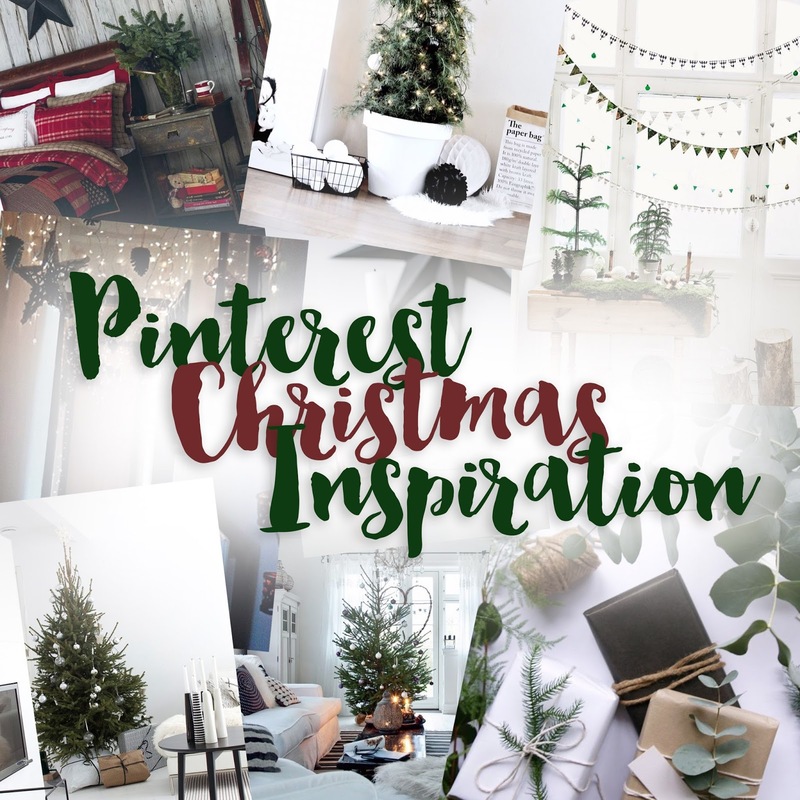 I love the idea of real Christmas trees, don’t get me wrong ‘fake’ trees can look amazing, and it’s something my mum’s always preferred, but when I get my own place real trees are the thing for me! I love the rustic and natural look of a real christmas tree and I think they look so much more festive (I’m prepared to vacuum every day I swear!). 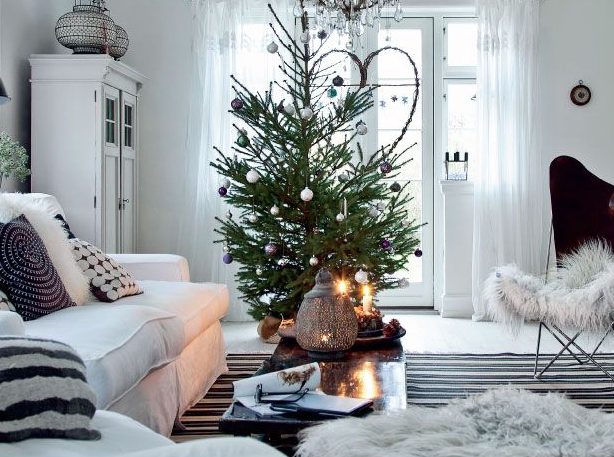 Pinterest is FULL of amazing decorations and I’m loving the silver theme I keep seeing this year. I’ve also noticed that statement baubles are quite popular, and people are opting to buy individual tree ornaments rather than your standard box full. I really like the idea of buying individual ones as you can bring back a story for each one. Our Christmas tree at home is full of individual decorations that have been given as gifts, bought on holidays etc. It makes Christmas that little bit more special. You should all head over to Anthropologie and Zara Home this year for your decorations as they have an amazing bunch to buy. They have some gorgeous, unique pieces that yes are a little more pricey than your Asda home, but come on guys, it’s Christmas! I’ve already talked about gift wrapping, and if you haven’t seen my post about how I wrapped my gifts up, check it out here. However I am still loving the plain paper, rustic look with rope and pieces of foliage tied on the bow. It just makes it look so much more unique and people appreciate the effort put into them. To summarise my Pinterest love this year, copper (typical Gianni) has also appeared in lots of my searching and purchasing. 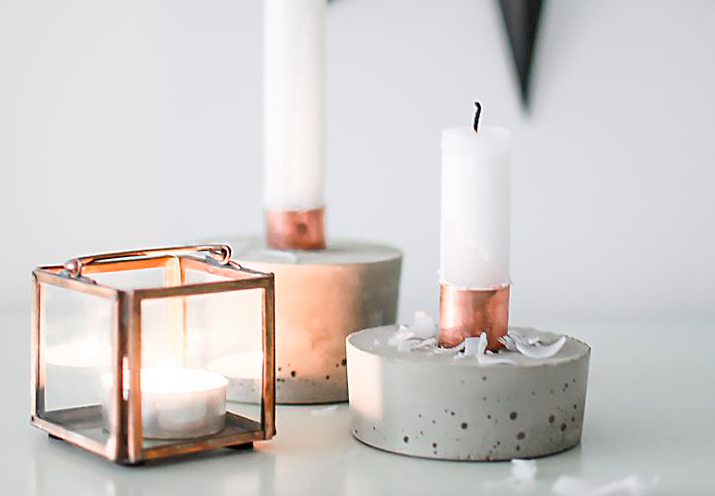 I came across the image above on Pinterest and I love the industrial, vintage look of these home made concrete/copper candle holders. What a simple yet stylish idea that I cannot wait to try! I will keep you updated.